Lisbeth Salander, the girl with the dragon tattoo, the brilliant hacker, the obstinate outsider, the volatile seeker of justice for herself and others--even she has never been able to uncover the most telling facts of her traumatic childhood, the secrets that might finally, fully explain her to herself. Now, when she sees a chance to uncover them once and for all, she enlists the help of Mikael Blomkvist, the editor of the muckraking, investigative journal Millennium. And she will let nothing stop her--not the Islamists she enrages by rescuing a young woman from their brutality; not the prison gang leader who passes a death sentence on her; not the deadly reach of her long-lost twin sister, Camilla; and not the people who will do anything to keep buried knowledge of a sinister pseudoscientific experiment known only as The Registry. Once again, Lisbeth Salander and Mikael Blomkvist, together, are the fierce heart of a thrilling full-tilt novel that takes on some of the most insidious problems facing the world at this very moment. I'm really enjoying these new Millenium books as long as I don't try and make the characters fit the way they were under Steig Larsson. Yes, they have the same names and what happened in the original trilogy is taken into account, but they are not the same characters. As long as I think of them as different, different stories, then I really enjoy them. 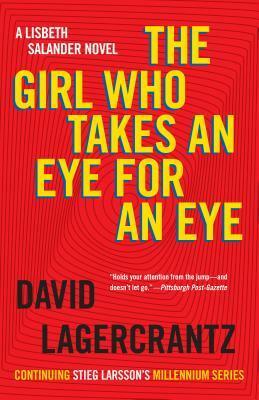 The Girl Who Takes an Eye for an Eye was a fun read. Salander is in jail for the things that happened in the last book, even though she did help, but she doesn't really care. She is fine being in there only there is a bully, a gang leader girl in there too and she is making the one girl's life miserable. And if there is one thing Salander doesn't like it is someone who beats up on women, even if it is another woman. 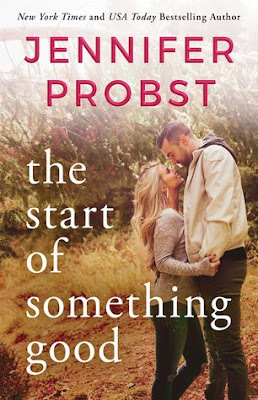 Add in the other girl's storyline and some secrets that Palmquist talked to her about when he came to visit (even though he didn't really know anything, just put a bug in Salander's ear so she will start looking into it). And she gets Blomkvist involved and we have another secret conspiracy on our hands. Now I did really enjoy how it all played out, how much Lisbeth is able to do from jail and how badass she is, but...I didn't really understand why the villain was running around killing people willy-nilly. Why they were determined to keep everything under wraps as while it was something that shouldn't have happened, they are like one of the only people left who would feel repercussions and they are not long for this world. So I was just like why are you doing this? I don't understand. You could just let what happens happen and it would be okay. It wasn't to the same level as the conspiracy with Lisbeth's father so...I don't know. That was my one issue - I didn't really understand the villain's motivations to just go on a killing spree to try and keep things secret. But it was still fun. The other thing I noticed with these two new books is you have a really great story, but then everything wraps up super quick. Both times I was like how is this going to come to a close when I don't have much left to read? But it does. It is just quick. I wish it would be a bit...more. That is part of why I loved the original ones. They were so complicated and took their time telling the story. So again have to remember that this is a different author and it is not the same. Think of it as a completely different series and I enjoy all the action and adventure found in them.